Just when you thought it was over. I have one more Degrassi interview left for all of you. I couldn’t let you all celebrate this spring finale tonight without interviewing another individual who seems to be at a crossroads between two guys. 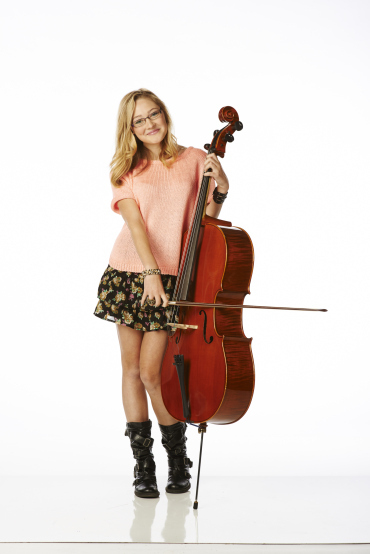 Olivia Scriven is Maya Matlin, one of the handful of Sophomores who will play a huge role tonight’s episode. Jr: Wow where do I begin with Maya. She has been through so much and is only a sophomore. What have you seen in her that has changed from when we first met her back in season 11? Olivia: Maya has not only gone through the necessary rites of passage that a 13 or 14 year old usually goes through, but she also dealt with issues (such as Cam’s death) that are really going to take a toll on the rest of her life. I think that since freshman year, she has looked at everything way more seriously, and values all her relationships with others. She is much stronger now and I think has way more self-esteem, but she thinks about everything too much, and over analyzes situations. It’s not necessarily a bad thing, but I don’t think she will ever completely return to that innocent little girl we saw at the beginning. Jr: Who do you ship Maya with? Olivia: I don’t know if this is allowed… but I ship Maya with Maya! I think that since the beginning of high school, her decisions have been largely impacted on by the boys surrounding her life, and those decisions haven’t always turned out so well. I think right now, Maya should focus on her individuality before jumping into another relationship. Jr: What is a story-line you want to see Maya go through? Olivia: I’d love to see Maya and Grace try to run away or something, and end up like, living in a tent somewhere. That’d be really awesome and weird. It would be a really fun acting duet too, with only two people in a really secluded area. Fireworks begin at Wild Wild West Night when Clare makes her decision known with regards to Drew and Eli. Zoë struggles to stand up for herself. Miles and Zig face off in a showdown for Maya’s heart. New episodes of Degrassi continue this summer with the remainder of season13. This entry was posted in Interviews, News, TV and tagged Blended Entertainment, Degrassi, MTV, Olivia Scriven, Ricardo Hoyos, TeenNick. Bookmark the permalink.